The worst possible scenario for me always was "what if the state has all my biometric data and can do with it whatever it wants". That is about to happen and even more as all german passport starting November 1st 2005 (in less then 4 weeks) will have an RFID chip implanted with all the data concerning your face and very soon - less then six month - it will also have fingerprints as an addition. 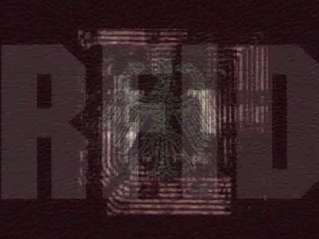 All that stored on a remotely readable (read by anyone with a capable reader) RFID (remote frequency identification) chip. Now you might think that is not bad in itself as things on borders would speed up - until someone reads out your fingerprint and leaves behind a false trace on his murderous route, or you are protesting against the political system in 5 years time - the examples of missuse are numerous and generally the state shouldn´t know everything about a person - it was a concept called freedom some aeons ago. Read also the press release from the Chaos Computer Club concerning the problem. OUR ONLY WAY TO PROTEST IS TO GET A PASSPORT NOW BEFORE ITS TOO LATE - and as a benificial you get an old passport for less then half the price of the new one (around 25 euro compared to around 60 euro). The loop contains images from my personal old passport happily usable until 2013 - hopefully mankind has awaken then and I will get a passport without all that crap (one can hope). Please redistribute this and spread the message. Is it right that this video is licensed by a creative commons license? If so which license have you been chosen? You are free to use this in a VJ set of yours at parties with less then 300 ppl. If I ever see it at a big festival with 10.000 ppl+ I am gonna be after you. You did not cite the correct song. It's actually "into the wild blue monster"